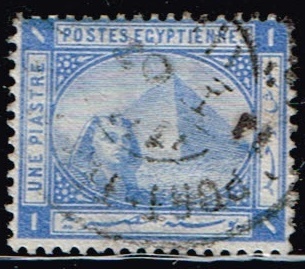 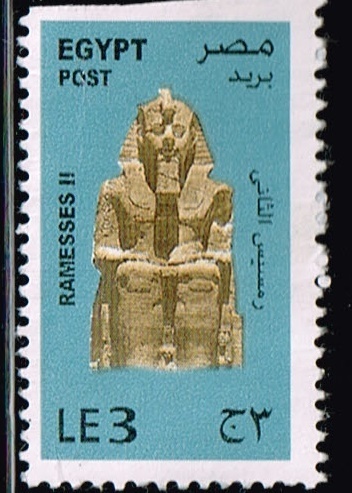 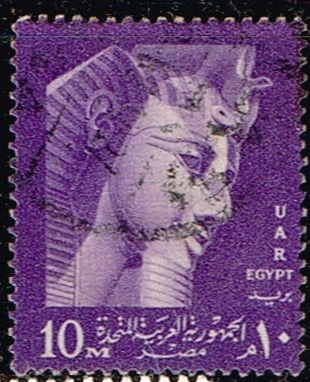 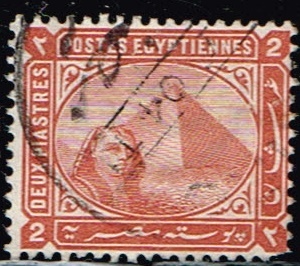 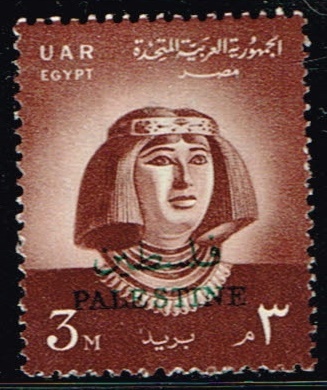 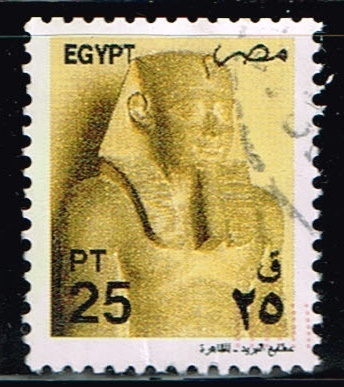 Please post here pictures of stamps relating to the ancient Egyptians. 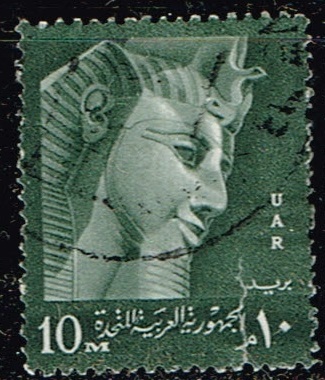 The head of Nefertiti, from a bust in the Egyptian Museum in Berlin, on a 1989 West German stamp. 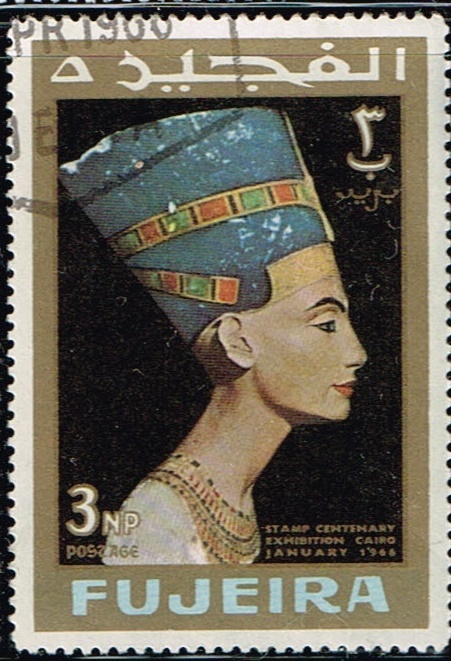 Nefertiti lived in the 14th century BC, and was wife of Akhenaten, who tried to introduce a monotheistic religion into Egypt, worshipping the disk of the sun. 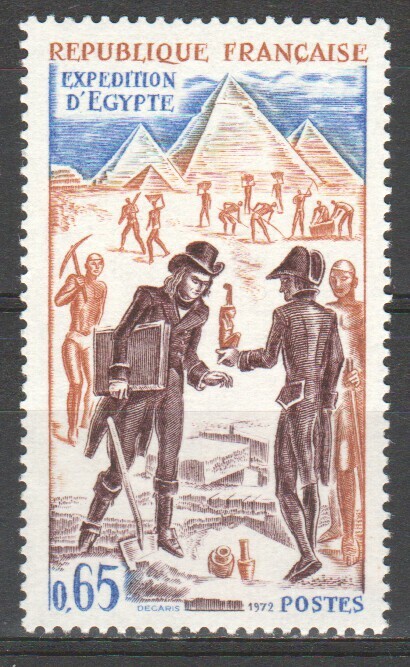 A 1972 French stamp showing archaeological explorations at the Pyramids during the 1798-1801 French expedition to Egypt. 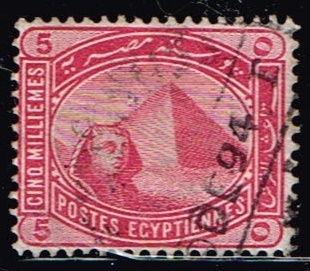 Napoleon led the expedition with the main aim of making it more difficult for Britain to maintain access to India. 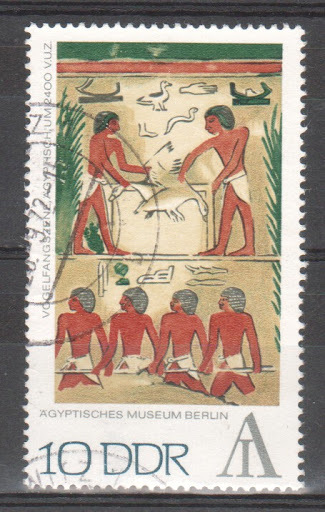 He took with him leading scientists and archaeologists. 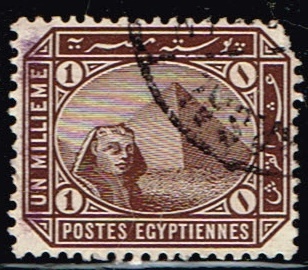 Militarily, the expedition was something of a disaster - Nelson decisively defeated the French fleet in the 1798 Battle of the Nile; this incentivised the Ottomans to fight the French, who marched into the Levant where Napoleon suffered another major defeat when he failed in his siege of Acre (1799): Napoleon retreated to Egypt and then returned to France to mount the successful coup which brought him to power. 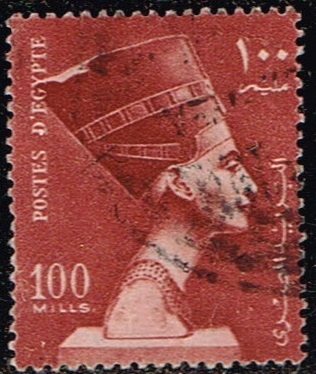 In 1801 the French troops were finally expelled from Egypt and the following year a treaty formally returned Egypt to Ottoman control. 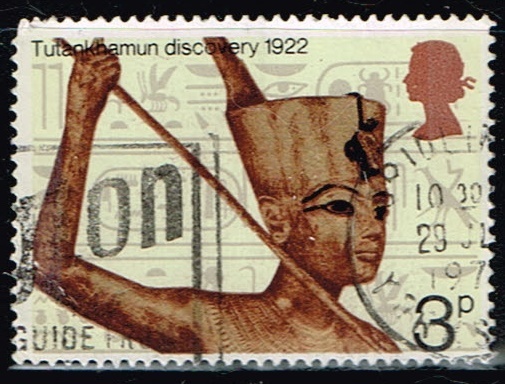 Culturally, the expedition led to a surge of interest in ancient Egypt, the establishment of Egyptology, the discovery of the Rosetta Stone, and links between France and the Middle East which continued well into the 20th century.